Sometimes you find groundbreaking creative work, sometimes it finds you. In this case, Aṣọ Dára found us via Miccheck‘s post. We saw her write/show a piece of Aṣọ Dára creation and got fascinated by the Yoruba name of the brand. Aṣọ Dára – which translates roughly to “good cloth” is a direct-to-consumer business that runs almost entirely on Instagram. 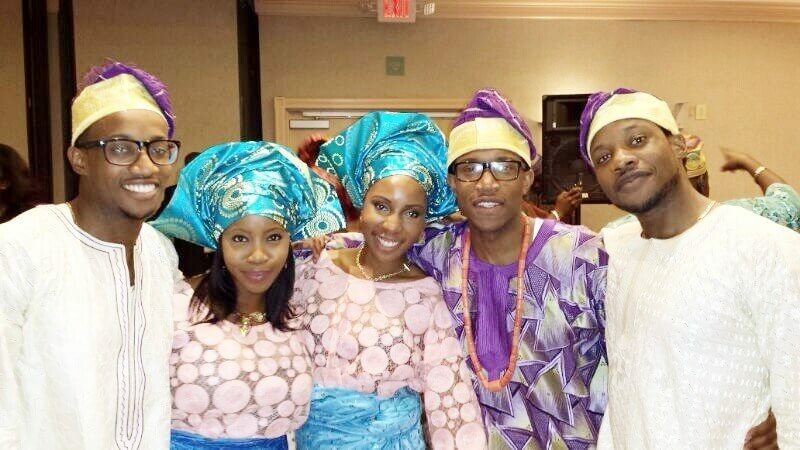 Born to Yoruba parents who immigrated from Nigeria to the United States, the Sonuyi siblings grew up in a multicultural whirlpool of the African diaspora in America. They each matriculated through their education and careers with success, however, after a few years, the siblings found themselves working comfortably but scattered around the world. Being students of history they realized that they were in the midst of a large and beautiful story that placed them in the middle of a time when people in the African diaspora had been scattered and were re-meeting one another, sometimes unbeknownst. They quickly realized there was much to gain in a cultural reunion and exchange of information. Thus, inspired by history and catalyzed by the turbulent situation of the diaspora, the siblings aspired to reconnect with one another to contribute to building something great together. From this reconnection and collaboration came Aṣọ Dára. The siblings recognize and appreciate the ancestors preceding them and the ultimate ancestor of Divine Spirit that motivates and empowers us with the principles of harmony. As any parent loves to see their children in harmony with one another, all children of the Divine Spirit have been given tools to recognize and practice such harmony. These divine principles that have been passed down through proverbs and manifested in traditions such as Kwanzaa’s Ujima, and the Yoruba’s Owe. Aṣọ Dára bears responsibility in continuing to connect the dots to show the unmistakable parallels between the style and grace of their sisters in Atlanta to that of their sisters in Eko. In an interview with Forbes, the CEO, Modupeola, shared her story about how it all began. We are absolutely in awe of what they are doing. And we are crazy about seeing more creative ventures like this. "I will survive my grief, amen. I have run into the darkness and arrived in the morning still living, amen. I have made my home anywhere I still have a name, amen. I swear that they cannot kill us all amen." . . . . . . . . . . @jibaroboricua in Aladura bandana. Words by Hanif Willis-Abdurraqib. Follow Aṣọ Dára on Twitter, Instagram and on their Website. All images and content for this story are from Aṣọ Dára website and Forbes.